We Buy/Sell Gaylord Boxes IA. We carry everything from produce boxes to jumbo sized 5 wall boxes. We are actively building a customer base within the state of Iowa, and we would be more than happy to serve all of your boxing needs. Our gaylord box recycling service is complimentary for all customers within the state of Iowa. We will coordinate a pickup window suitable to you, and send one of our trucks over to pick up your unwanted gaylord boxes. We are always looking to purchase more gaylord boxes. If you have any lightly used gaylord boxes, we urge you to fill out this form. The only condition we hold is that the boxes have to be either grade A or B+. 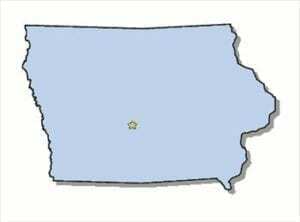 We are currently seeking new partnerships in the Hawkeye State. As we build inventory throughout the state, we urge you to fill out a box buyer form. This will allow us to cross reference your request with our inventory in Iowa, and the bordering states of Illinois, Missouri, Nebraska, Minnesota, and Wisconsin. The reason we do this is to minimize the cost of shipping for all of our customers. On the other hand, if you’re looking to sell your gaylord boxes we will gladly purchase them from you. We will purchase them at a competitive per-box rate. The only condition we hold is that they must be either grade A or B+ boxes. Lastly, if you have gaylord boxes you would like to dispose of, we will remove them with our complimentary gaylord box recycling service. We will send one of our trucks directly to your location, and cover all of the costs involved. We look forward to doing business with you!